Hello ladies and gents. 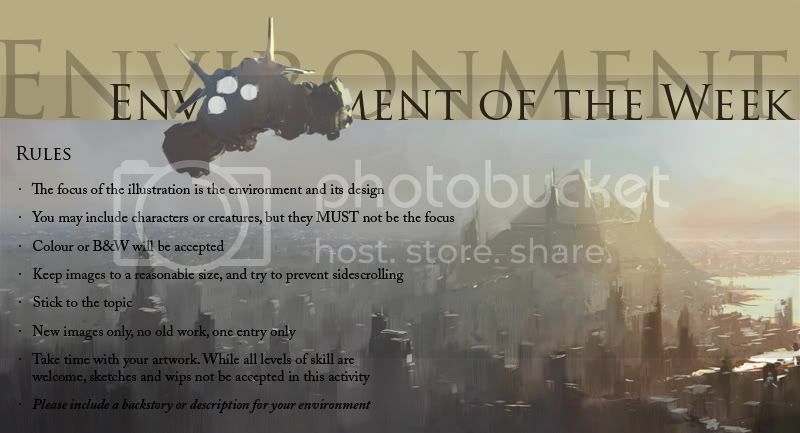 Just a spam/blurb here from the moderators from both the Environment of the Week (EOW) and the Industrial Design of the Week (IDW) activities. This week is to be a crossover! I'm really liking the idea behind this one too. IDW # 176 / EOW # 170 : Secret Society Relics - VOTING!